Duchenne Muscular Dystrophy (DMD) is one of the most common fatal genetic disorders. It’s caused by a mutation in the muscle dystrophin gene leading to severe progressive muscle loss and premature death. DMD is a devastating genetic muscular disease caused by loss of dystrophin with progressive muscle wasting and associated muscle injury leading to inflammation and fibrosis. Unfortunately, DMD has a 100% mortality rate. There is a significant unmet medical need for new therapeutics targeting progressive destructive inflammation. For decades steroids have been recommended as a treatment for patients with DMD to preserve or improve muscle strength and motor function, and to prolong independent walking ability by one to three years. That said, steroid use remains controversial, with researchers and clinicians disagreeing on the optimal dosing regimen used for DMD patients. This is especially true in light of a new study just release that has linked the long term use of current steroid treatment to increased weight gain in boys with DMD who are unable to walk. 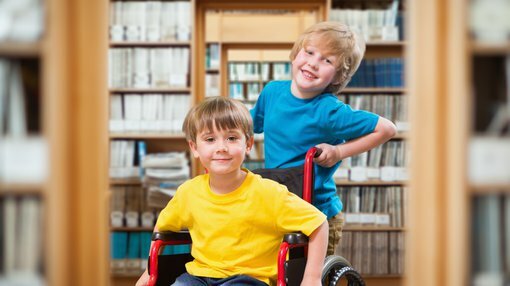 The study, “The effect of steroid treatment on weight in non-ambulatory males with Duchenne muscular dystrophy” was published in the American Journal of Medical Genetics and determined that steroid use was linked to boys being overweight by the time they reach adolescence. The study’s recognition of the safety issues with steroids highlights the importance of finding new and improved therapies, such as Antisense Therapeutics’ (ASX:ANP) ATL1102 to treat inflammation in boys with DMD. ATL1102, an antisense drug to CD49d, shown to be a highly active immunomodulatory drug with potent effects on inflammatory processes in MS patients. ANP recently raised $5 million to complete ATL1102 Phase II clinical trial in DMD patients and to initiate the ATL1103 Early Access Program in Acromegaly. Acromegaly is a disorder in which the pituitary gland produces too much growth hormone and is another disorder that ANP is creating treatments for. ANP plan to provide the ATL1103 Early Access Program in Acromegaly to acromegaly patients under an EAP in Europe. EAPs offer patients access to new non-registered drugs and companies can seek reimbursement for drug supply in certain markets. The capital raising was backed by leading institutional investors, including Australian Ethical Investment which is now the company’s largest shareholder with a 19% holding. The Phase II clinical trial of ATL1102 in DMD patients is being conducted at the Royal Childrens Hospital in Melbourne in non-ambulatory boys, with patient enrolment and treatment commenced August 2018. There is a clear need for improved therapies to ameliorate DMD severity and delay disease progression, and given the American Journal of Medical Genetics recent study, ANP could deliver much needed therapies with more certainty to come out of the upcoming clinical trials.